Sometimes, when you’re lucky, you get a chance to meet a skincare product that makes you happy. The Premier Cru The Eye Cream from Caudalie is that one for me the past few months. This eye cream promises to tackle all signs of aging and keep the eye area hydrated, smooth, and firm. It contains soft focus pigments to brighten and smooth while aiming to reduce dark circle and puffiness. 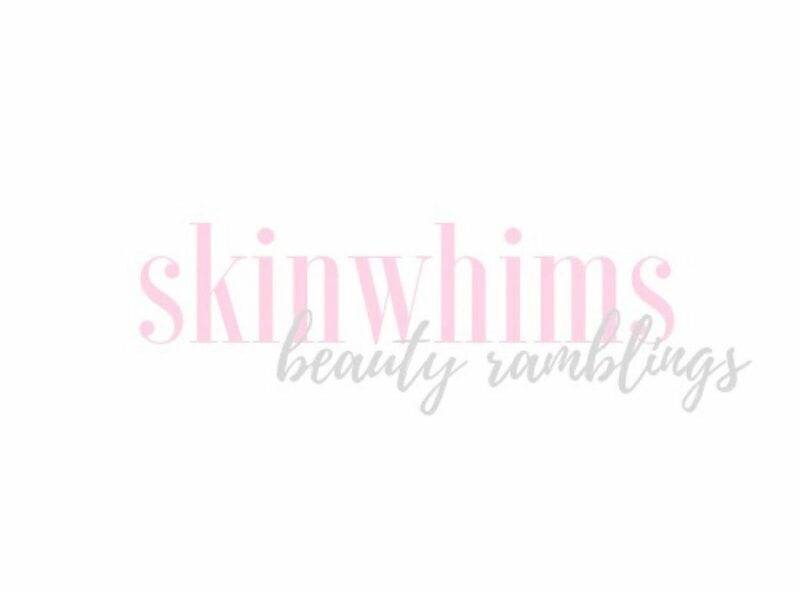 it contains vine resveratrol and micro hyaluronic acid complex to prevent wrinkles, form and lift, viniferine to counteracts the look of dark spots and add radiance, grape seed polyphenols to provide antioxidant protection, and caffeine and peptides to fight puffiness and dark circles. This product is also vegan, non-toxic, cruelty-free, and free of all synthetic chemicals, artificial fragrances, fillers, gluten, and GMOs. It’s thick that doesn’t feel uncontrollable or unsinkable at all. It has a sort of whipped texture and the product dries quickly, which I am really a fan of. I may have dry under eyes but I am still not used to my eye cream feeling heavier than my face creams but this is just right. It leaves my eye area matte but properly moisturized. This firmed my eye area like no other while still moisturizing it. I also noticed that after a few months of using this that it lessened the few crow’s feet that I have. I also like using this in the morning as it helps de-puff and brighten my eye area without messing my makeup. I would recommend this to those with really dry under eyes who are looking to brighten and firm their eye area. My eye area just drinks this right up. I really like it, honestly. Next to cleansers, physical exfoliants are my second fave skincare product. I mean, they are second if ever someone asks me to rank them but I love them all. I have masks in powder, clay, and mousse forms. I have peel off masks and wash-off masks. Since my pores easily get clogged and need to be constantly cleared for me to avoid blemishes and blackheads, I have specific masks to use for specific situations. However, I never got around face scrubs. As resistant as my skin is, I find scrubs to be too abrasive and too severe for my skin. However, when I saw the Exfoliating Scrub Oil to Milk from Madara Skincare, I wanted to try it because the name itself sounds it would be gentle. It made me research on the brand and test the actual product. Madara Organic Skincare creates products from organically certified natural extracts from plants in the Northen Baltic regions. They look into Northern healing herbs and flowers and test what more nature can offer for our skin in their labs. The actual face scrub has an oil-based formula and promises to be gentle while softening and renewing the skin. It has apricot and oat oil molecules to remove dirt and impurities, natural volcanic sand to unclog pores, remove dead cells, and polish the skin, and natural wax microbeads to resurface the skin. The scrub is meant to be massaged on dry skin before mixing a splash of water to melt the oil into a milky texture before rinsing. It smells like butter and feels really gentle on the skin. Because of its oily texture, it felt really greasy, almost like an oil cleanser, as I massage it onto the skin. I also like that it doesn’t feel like its scratching my skin and I do not feel any tingling sensation whenever I use the scrub. It takes a while to get used to but it was surprisingly easy to remove. I just feel like I’m doing my first cleanse. It doesn’t leave an oily film but it doesn’t completely leave my skin matte and dry. It just leaves my skin feeling soft, supple and my skin look plump and glowing. Since this product is certified ECOCERT and made from natural and organic ingredients, I would recommend this to those with sensitive skin looking for a gentle yet effective exfoliator. It’s also nut-free and plastic microbead-free so this will be a good option for those with allergic reactions to the above. The product is also cruelty-free. For me, however, this is a good mask on days when you don’t have to treat any skin problems and just want to maintain a smooth and glowing complexion. What started as a way to find ways to solve her skincare problems, Terry Lee created products that aim to remove impurities, excess oil, and makeup while maintaining the skin barrier. These skincare products are the foundation of Panacea Skincare, which are developed and tested on all skin types, including sensitive and acne-prone, to promote clean, healthy skin. Made in Korea, their products use ingredients that are cruelty-free and are made without parabens and sulfates. The Aegis Daily Facial Cleanser promises to draw out impurities and rinse off without stripping the skin. It has the brand’s Moisture Shield Complex, which is a blend of glycerin, hyaluronic acid, and methylpropanediol, to nourish and hydrate the skin. It also contains laminaria japonica to eliminate toxins, green tea extract to moisturize and nourish, vitamin e for its antioxidant benefits, and fig extract to hydrate the skin and tighten pores. With its thick foaming texture, this is an instant like. It feels like the cleansers I usually go for – thick, foaming, and a dream to massage on the skin. It lathers easily and a pea-sized amount can already cover my entire face. Upon rinsing, it removes excess oil on the skin, leaving it squeaky clean. However what I like about this is even though it removes all the build-up on my skin, it doesn’t leave it dry or stripped. Those with dry to normal skin types might have another opinion but for my oily skin, it’s just right. These past few months, I have been using a variety of natural deodorants and I have experienced varying results. However, Cedar Flora from Corpus Naturals really stood out for me. In chic mint green packaging, the deodorant from Corpus Naturals is water-based and promises to be long-lasting while reducing body odor without the chalky residue. It is also naturally-derived, vegan, and cruelty-free. It doesn’t contain parabens, talc, baking soda, phthalates, synthetic fragrances, aluminum. The deodorant comes in five variants and I got the Cedar Flora scent because I just have a complete bias toward floral smells. Cedar Flora contains cedarwood, white musk, jasmine, guaiac wood and it smells like it. It’s a strong fresh floral, musky scent that doesn’t overpower my perfume. The actual deodorant feels creamier than the other deodorants I’ve tried. It applies wet and dries slower than normal deodorants but it doesn’t stain on my clothes. It also feels gentler and moisturizing to the skin. Out of all the natural deodorants I’ve tried, this one acclimated to my skin the quickest. Within three weeks, unless it’s really hot out, I didn’t sweat or smell. It also helped whitened my skin a bit. It really just matched my skin and I can’t get enough of it!